Our number one goal is the satisfaction of our customers. Always. We achieve this through cooperative partnership and custom-tailored collaboration with our customers. We design, manufacture, and support our customers on an individual basis, project by project. In the end, a unique WIESE continuous bucket or pendulum bucket conveyor is created each time, reliably fulfilling the customer’s requirements. 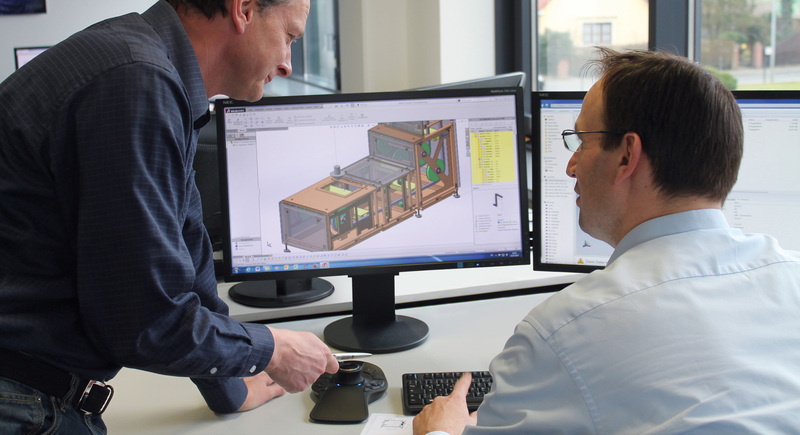 At WIESE, client consulting, design, production and service work closely together to create a conveyor system that is optimised for your bulk materials. The design of our bucket conveyors is based on decades of experience. Constant development and improvement of course goes without saying. The original WIESE rubber chains and pendulum bucket and continuous bucket conveyors are manufactured to a consistently high standard of quality. The hallmarks of our service are reliability, speed and safety: even after many years, you can still obtain the original spare part you need.